Default date ranges are a great way to standardize your reports. 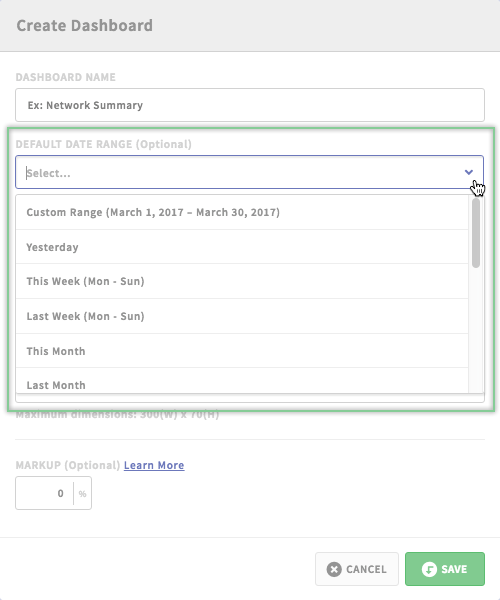 Here, we'll cover how to set up your date ranges at the Dashboard level instead of in each individual widget. What's the advantage of setting a dashboard level date range? Setting a dashboard level date range makes it easy for you to change the entire dashboards date range in one swoop. This allows you to move more quickly within the dashboard to analyze your data.